I’ve wanted to talk about how much I love my little hometown for a long time. So when Natalia from Elan the Blog talked about doing a series of posts about her favorite spots in her hometown, I was inspired to put my little project into action. I love Kaysville so much and no matter how big city my dreams are, this little haven will always be my hometown. It’s everyone’s hometown; it’s even called Utah’s hometown, which I would agree with. Out of every city in Utah I have visited, nothing feels more welcome and historic and lovely than my little K-Town. To start with my spotlights of some of my favorite places here, I knew exactly where I wanted to talk about first. It is the center of Main Street in Kaysville and a place I have loved forever. I love our little theater. It costs $2 on weeknights and $3 on the weekend. It shows movies a few months after they have been running on the big screens at the main theaters. They come here for their last gasp before DVDs plop into the nearest Redbox or pop into your Netflix instant watch. I know the owners of this theater through all of the theater I did in High School and I love catching people I know when they take my ticket or scoop my popcorn into a bag for me. It is the quintessential small town hang out. Everyone knows everyone, everyone smiles at each other. My first field trip was to this theater in the first grade. We watched Doug the Movie and afterward we all got a little piece of film reel to take home with us. I remember how amazing it was to hold the film up toward the light and see the images printed there, not quite understanding that THIS was what I just watched on the screen, that all of the pieces of film revolved at warp speed to create a seamless moving picture. We got free popcorn courtesy of the popcorn shop right next door, and we were warned about the dangers of bringing outside food into a movie theater. It was enthralling. 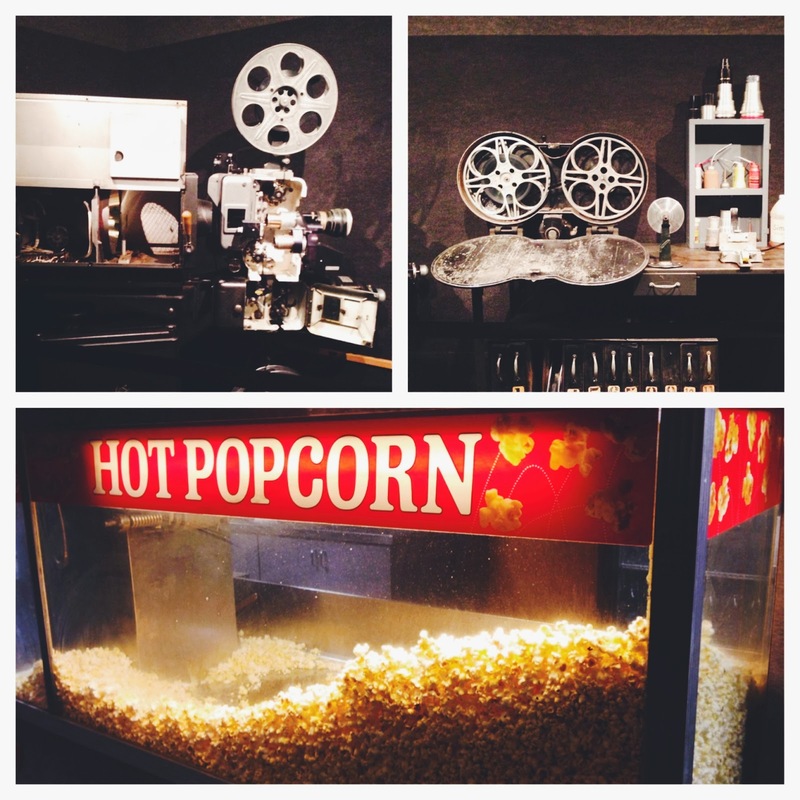 In the lobby of the theater, they keep a sort of display of old film equipment and their concession stand is the only theater concessions stand in the world where buying popcorn doesn’t feel like spending enough money to buy gas. It tastes better too, but maybe that’s because the air is right. The people are right. This old theater is right. I’ve had family adventures here, date nights from heaven and from hell. I’ve even come here alone many times (mostly while Gatsby was playing) and sat alone in the back of the small theater to watch my favorites for the 7th time. It’s ten minutes from my house and so full of memories and community love. That’s the real reason I keep coming back. 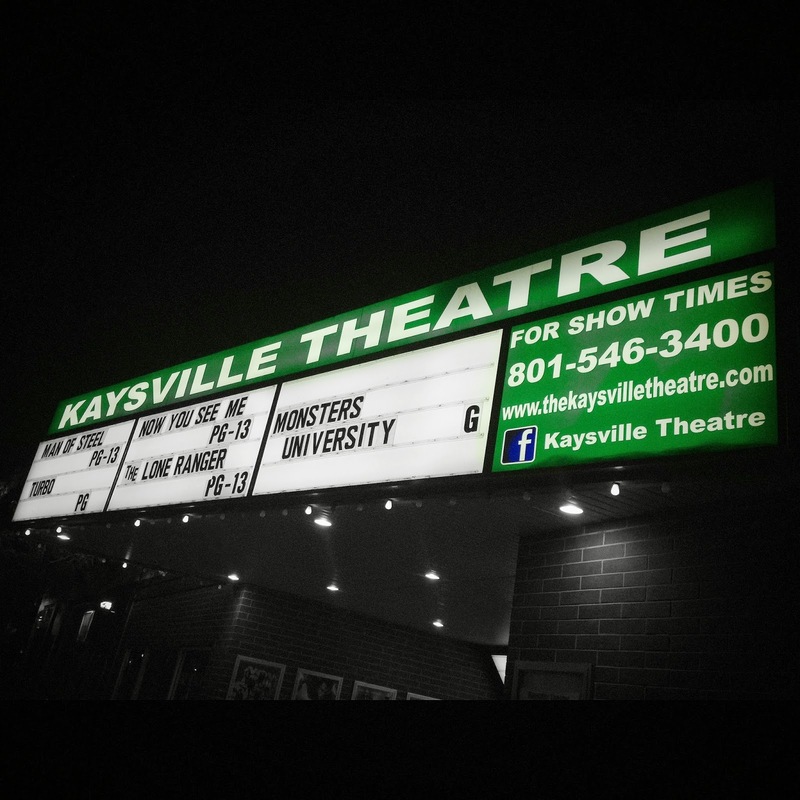 It’s a Kaysville tradition, just like having the entire audience say “EWWWWWWW” during the classic 80s commercial about keeping the theater clean that features the disgusting shoe stepping in gum after failing to keep his trash neat and tidy and off of the theater floor. Ironically, the floor of the Kaysville theater seems to be constantly covered in popcorn. I love it. Some people have home theaters in their houses. My home theater is down the block. Isn't that just the way it should be? Sounds like a beautiful place. This is beautiful. Your town sounds lovely. Sometimes I wish I was from a smaller town, but that's not the way it was. Loved this, Emma! wanna follow also on bloglovin abd twitter? love this lady. i want a theater like this!! something actually close to home. i say movie date here soon!! omg i love your blog so much! Thanks! I'll check your blog out for sure.